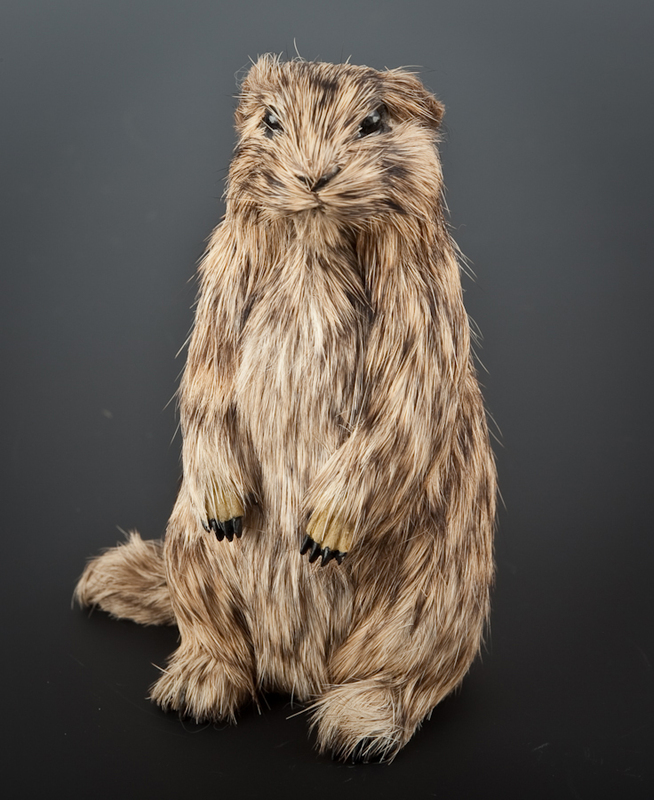 Purchase your Choice of any Two Stone Resin Animal Figurines II! Stone Resin Animal Figurines - Giraffe (AF20) (more info) — only 9 left! Stone Resin Animal Figurines - Goat, Brown (AFF46) (more info) — only 9 left! Stone Resin Animal Figurines - Goat, White (AFF45) (more info) — only 9 left! Stone Resin Animal Figurines - Grizzly Bear (AFF62) (more info) — only 9 left! 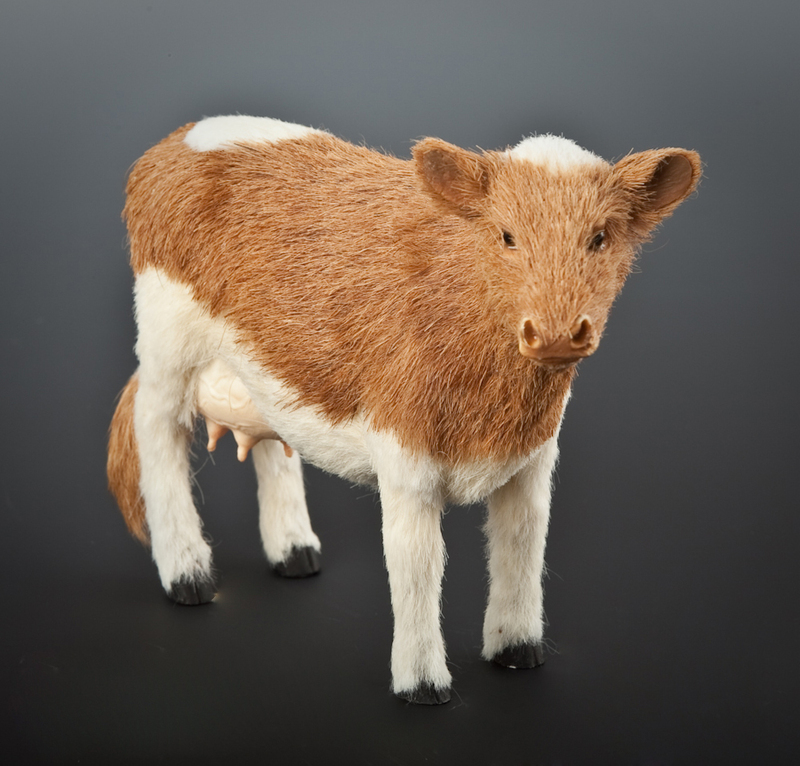 Stone Resin Animal Figurines - Guernsey Cow (AFF44) (more info) — only 9 left! Stone Resin Animal Figurines - Holstein Cow (AFF43) (more info) — only 9 left! Stone Resin Animal Figurines - Kangaroo (AFF64) (more info) — only 8 left! Stone Resin Animal Figurines - Koala (AFF03) (more info) — only 8 left! 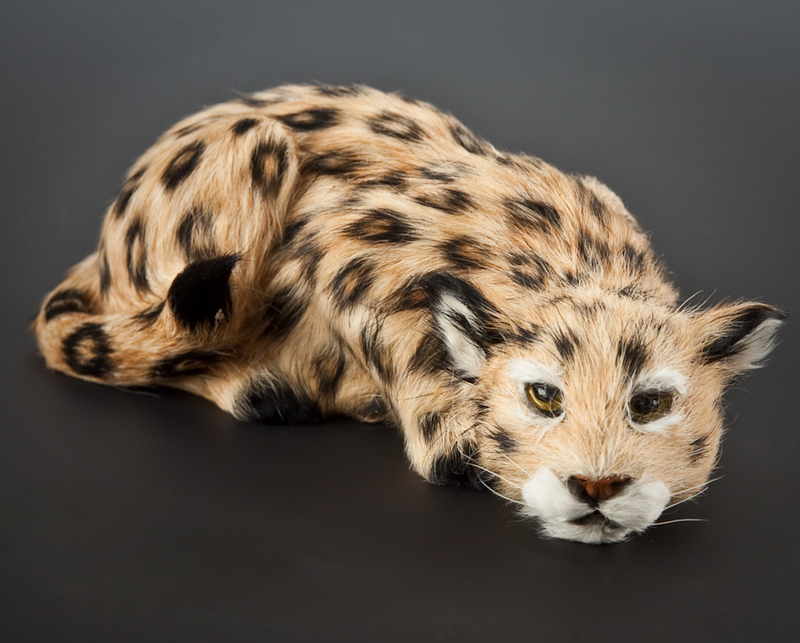 Stone Resin Animal Figurines - Leopard (AFF07) (more info) — only 9 left! Stone Resin Animal Figurines - Lion (AFF08) (more info) — only 4 left! Stone Resin Animal Figurines - Long Horn Steer (AFF77) (more info) — only 7 left! Stone Resin Animal Figurines - Mandrill (AFF12) (more info) — only 9 left! Stone Resin Animal Figurines - Panther (AFF10) (more info) — only 7 left! Stone Resin Animal Figurines - Pig, Black (AFF48) (more info) — only 9 left! Stone Resin Animal Figurines - Praire Dog (AFF74) (more info) — only 9 left! 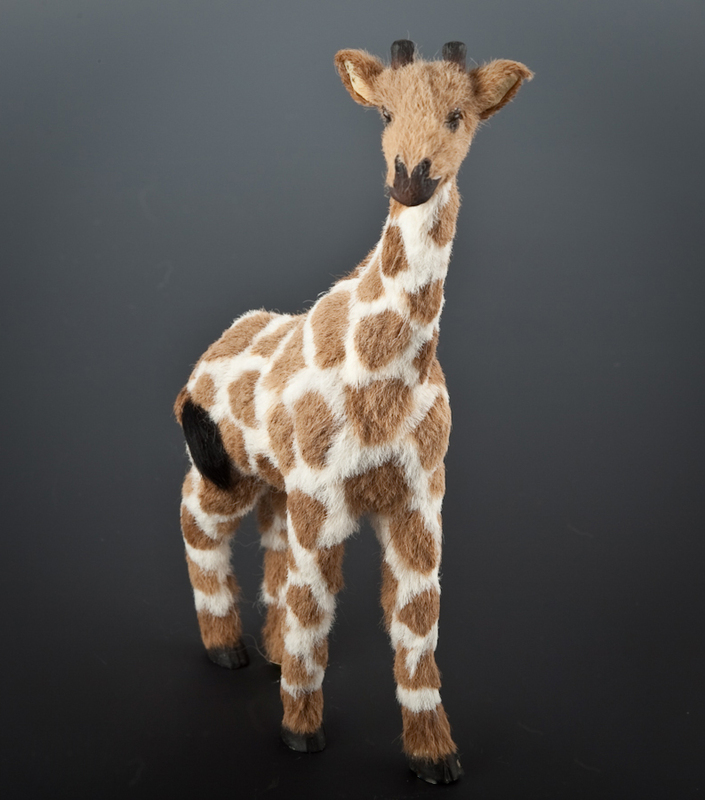 Giraffe figurine is meticulously crafted in stone resin and hand painted by talented artists. The fur we use is a by-product of the food processing industry, shaved from cows or rabbits. Instead of being burned or buried, it's been recycled to give this figurine an unparalleled realism! Average size of these animal figurines are 5" to 7". 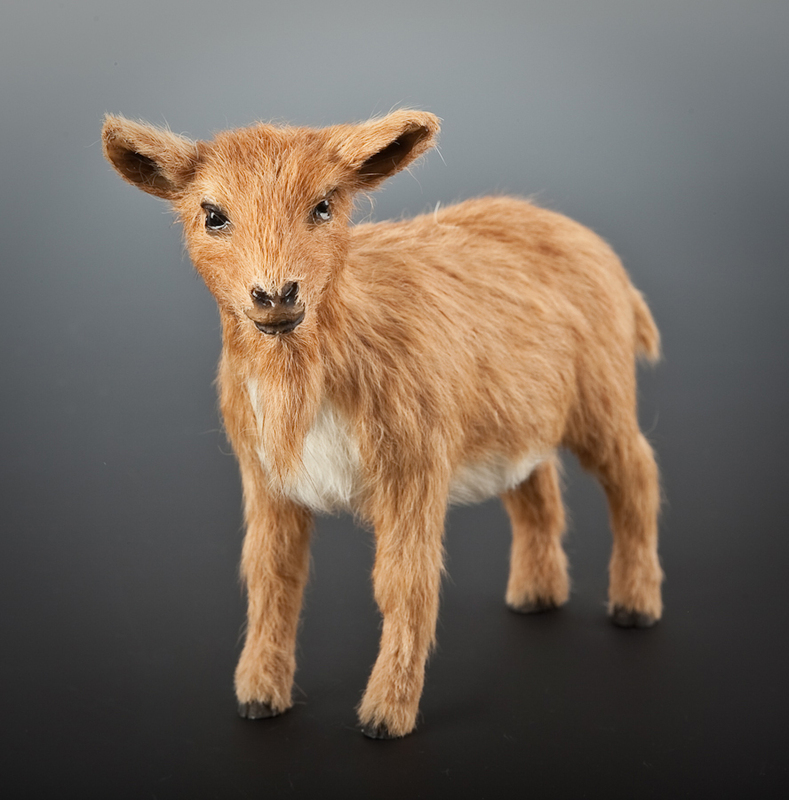 Goat, Brown figurine is meticulously crafted in stone resin and hand painted by talented artists. The fur we use is a by-product of the food processing industry, shaved from cows or rabbits. Instead of being burned or buried, it's been recycled to give this figurine an unparalleled realism! Average size of these animal figurines are 5" to 7". 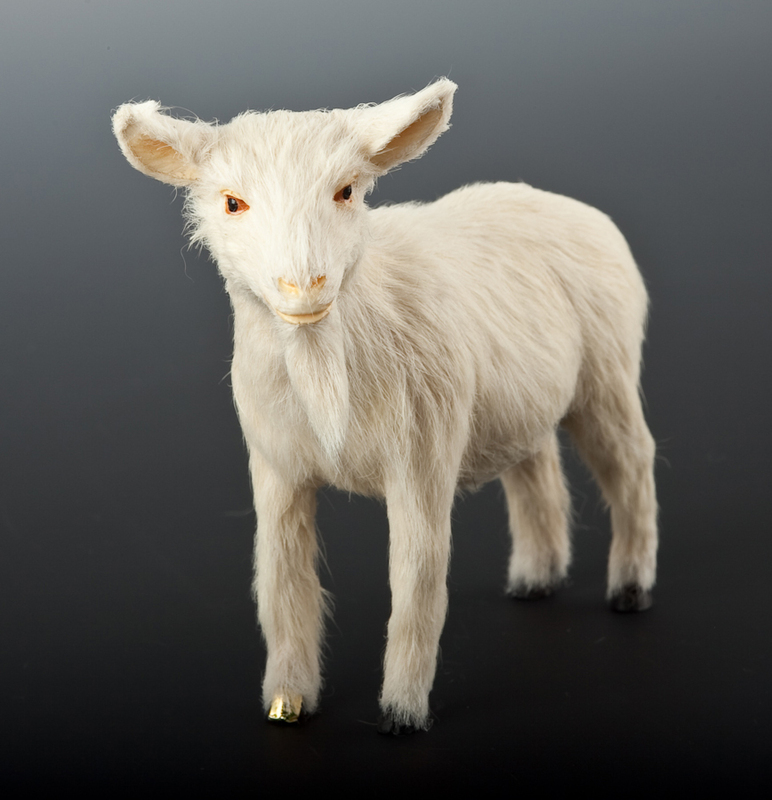 Goat, White figurine is meticulously crafted in stone resin and hand painted by talented artists. The fur we use is a by-product of the food processing industry, shaved from cows or rabbits. Instead of being burned or buried, it's been recycled to give this figurine an unparalleled realism! Average size of these animal figurines are 5" to 7". 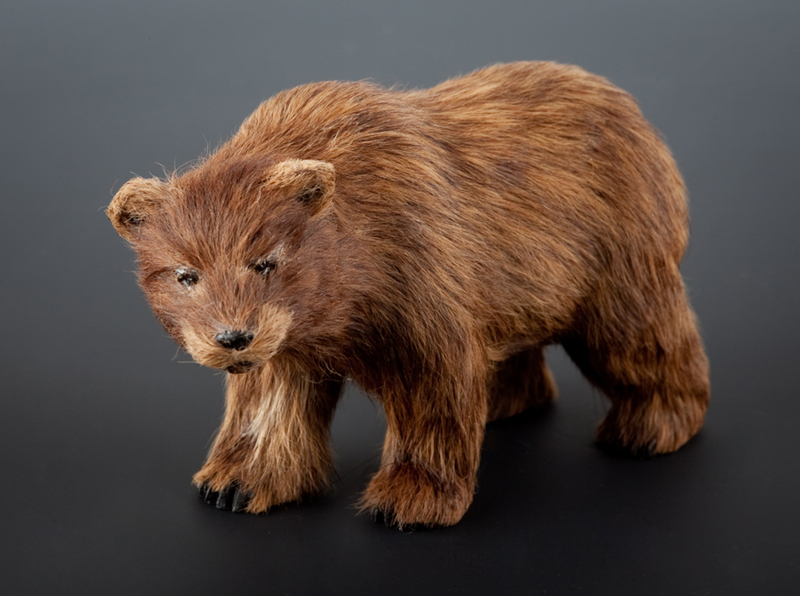 Grizzly Bear figurine is meticulously crafted in stone resin and hand painted by talented artists. The fur we use is a by-product of the food processing industry, shaved from cows or rabbits. Instead of being burned or buried, it's been recycled to give this figurine an unparalleled realism! Average size of these animal figurines are 5" to 7". Guernsey Cow figurine is meticulously crafted in stone resin and hand painted by talented artists. The fur we use is a by-product of the food processing industry, shaved from cows or rabbits. Instead of being burned or buried, it's been recycled to give this figurine an unparalleled realism! Average size of these animal figurines are 5" to 7". 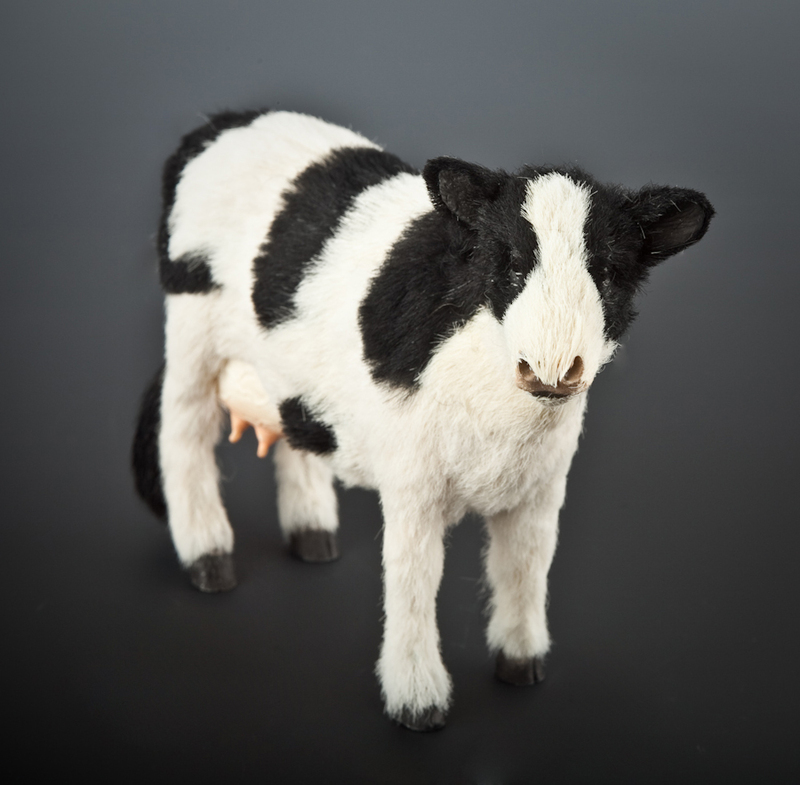 Holstein Cow figurine is meticulously crafted in stone resin and hand painted by talented artists. The fur we use is a by-product of the food processing industry, shaved from cows or rabbits. Instead of being burned or buried, it's been recycled to give this figurine an unparalleled realism! Average size of these animal figurines are 5" to 7". 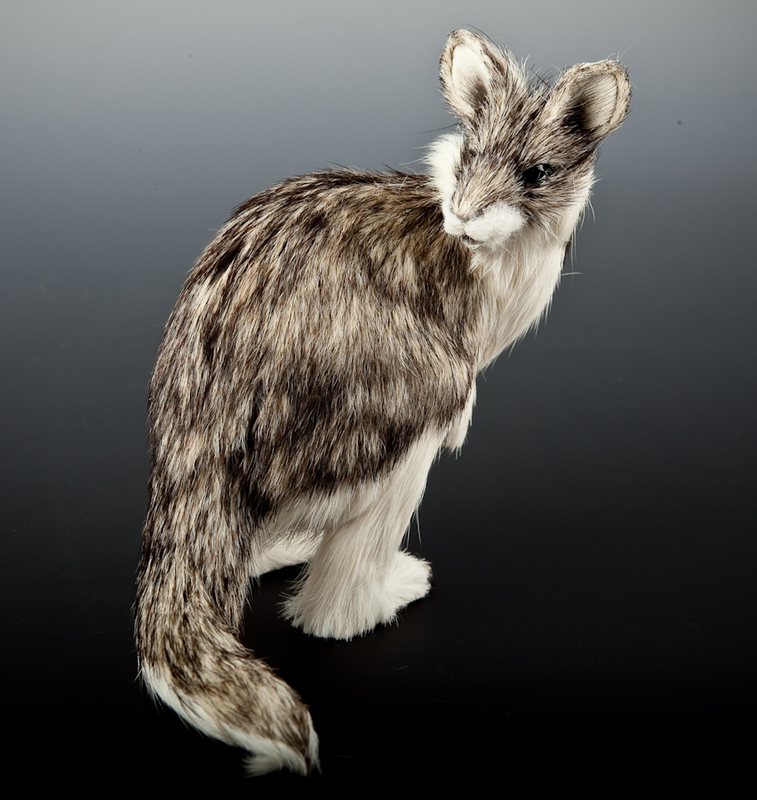 Kangaroo figurine is meticulously crafted in stone resin and hand painted by talented artists. The fur we use is a by-product of the food processing industry, shaved from cows or rabbits. Instead of being burned or buried, it's been recycled to give this figurine an unparalleled realism! Average size of these animal figurines are 5" to 7". 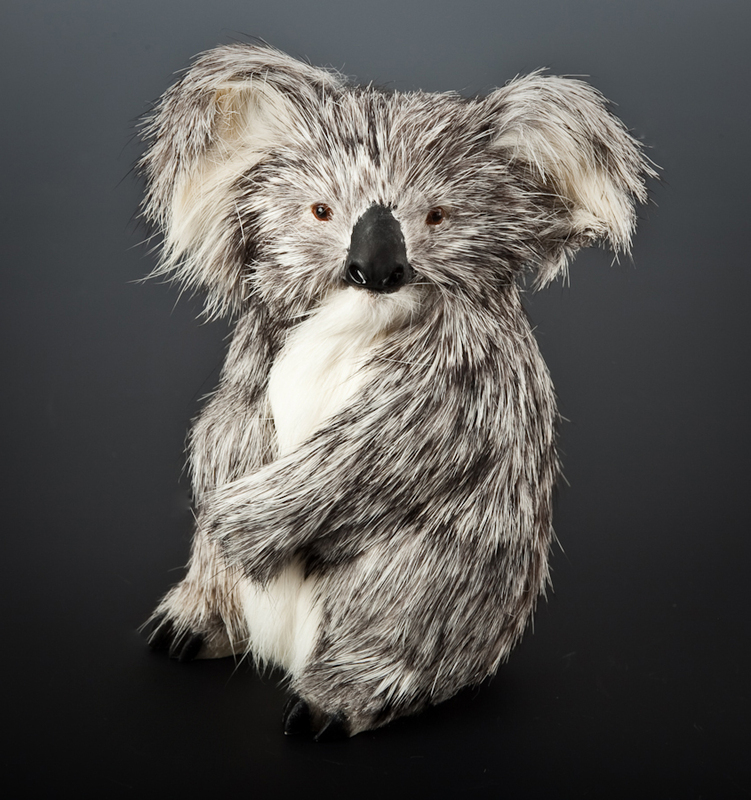 Koala figurine is meticulously crafted in stone resin and hand painted by talented artists. The fur we use is a by-product of the food processing industry, shaved from cows or rabbits. Instead of being burned or buried, it's been recycled to give this figurine an unparalleled realism! 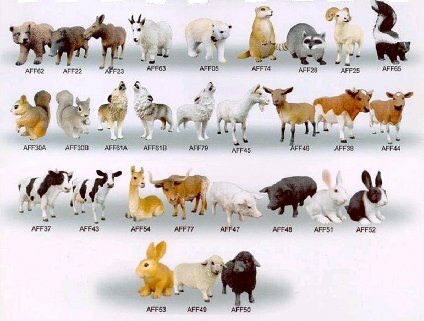 Average size of these animal figurines are 5" to 7". Leopard figurine is meticulously crafted in stone resin and hand painted by talented artists. The fur we use is a by-product of the food processing industry, shaved from cows or rabbits. Instead of being burned or buried, it's been recycled to give this figurine an unparalleled realism! Average size of these animal figurines are 5" to 7". 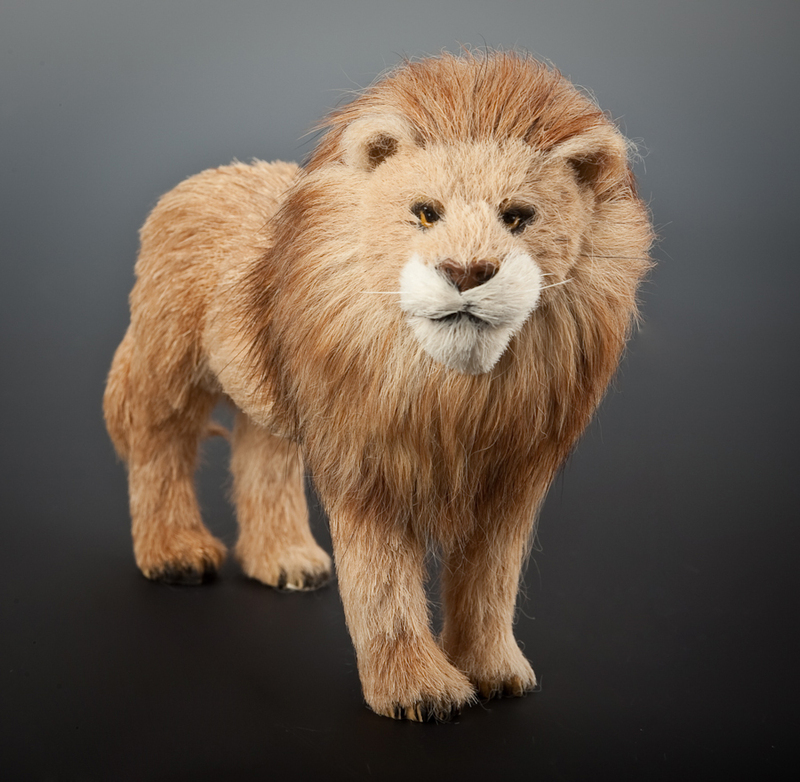 Lion figurine is meticulously crafted in stone resin and hand painted by talented artists. The fur we use is a by-product of the food processing industry, shaved from cows or rabbits. Instead of being burned or buried, it's been recycled to give this figurine an unparalleled realism! Average size of these animal figurines are 5" to 7". 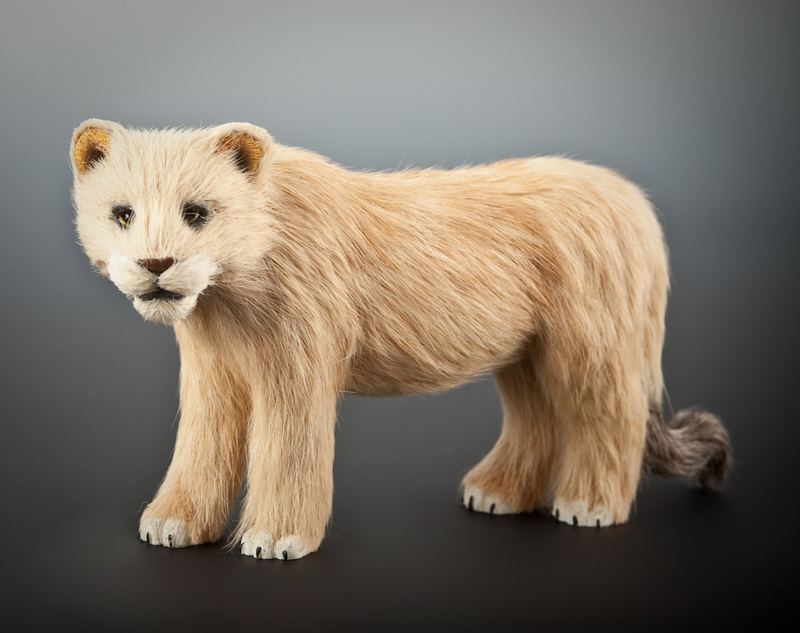 Lioness figurine is meticulously crafted in stone resin and hand painted by talented artists. The fur we use is a by-product of the food processing industry, shaved from cows or rabbits. Instead of being burned or buried, it's been recycled to give this figurine an unparalleled realism! Average size of these animal figurines are 5" to 7". 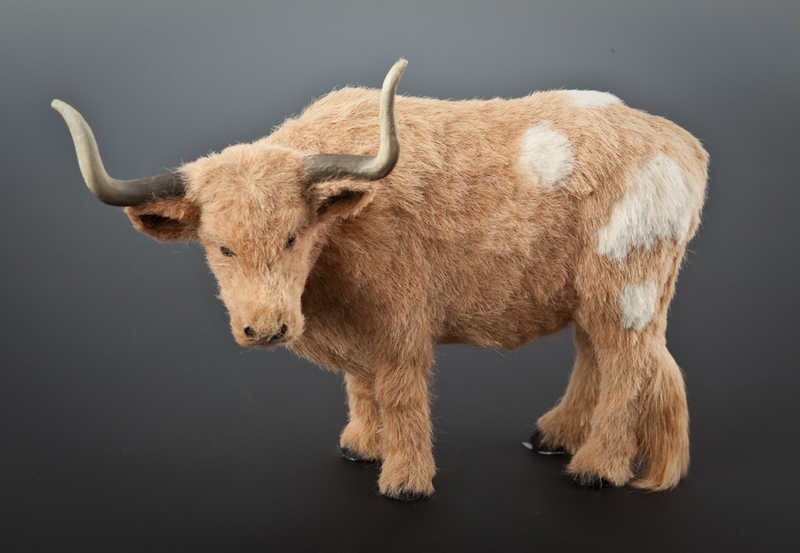 Long Horn Steer figurine is meticulously crafted in stone resin and hand painted by talented artists. The fur we use is a by-product of the food processing industry, shaved from cows or rabbits. Instead of being burned or buried, it's been recycled to give this figurine an unparalleled realism! Average size of these animal figurines are 5" to 7". 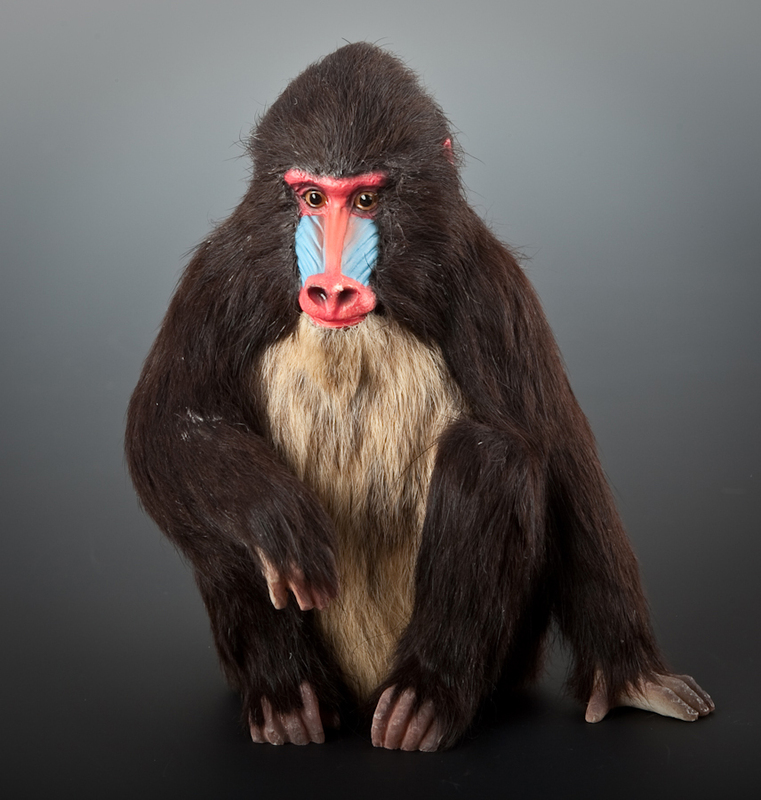 Mandrill figurine is meticulously crafted in stone resin and hand painted by talented artists. The fur we use is a by-product of the food processing industry, shaved from cows or rabbits. Instead of being burned or buried, it's been recycled to give this figurine an unparalleled realism! Average size of these animal figurines are 5" to 7". 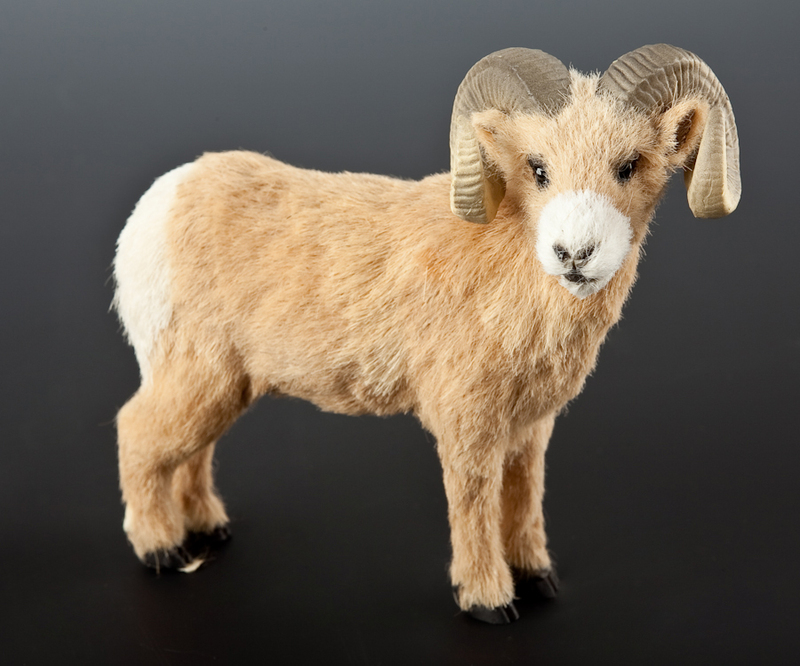 Mountain Goat figurine is meticulously crafted in stone resin and hand painted by talented artists. The fur we use is a by-product of the food processing industry, shaved from cows or rabbits. Instead of being burned or buried, it's been recycled to give this figurine an unparalleled realism! Average size of these animal figurines are 5" to 7". 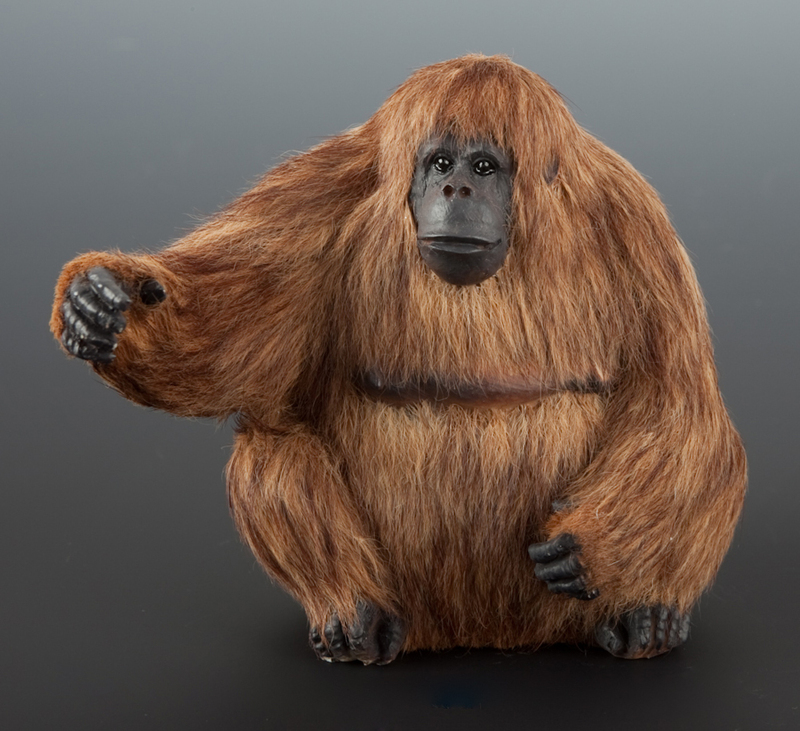 Orangutan figurine is meticulously crafted in stone resin and hand painted by talented artists. The fur we use is a by-product of the food processing industry, shaved from cows or rabbits. Instead of being burned or buried, it's been recycled to give this figurine an unparalleled realism! Average size of these animal figurines are 5" to 7". 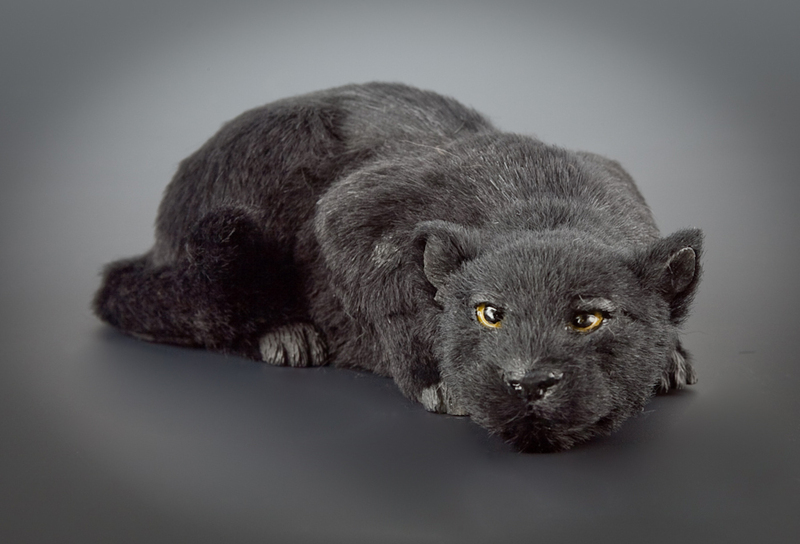 Panther figurine is meticulously crafted in stone resin and hand painted by talented artists. The fur we use is a by-product of the food processing industry, shaved from cows or rabbits. Instead of being burned or buried, it's been recycled to give this figurine an unparalleled realism! Average size of these animal figurines are 5" to 7". 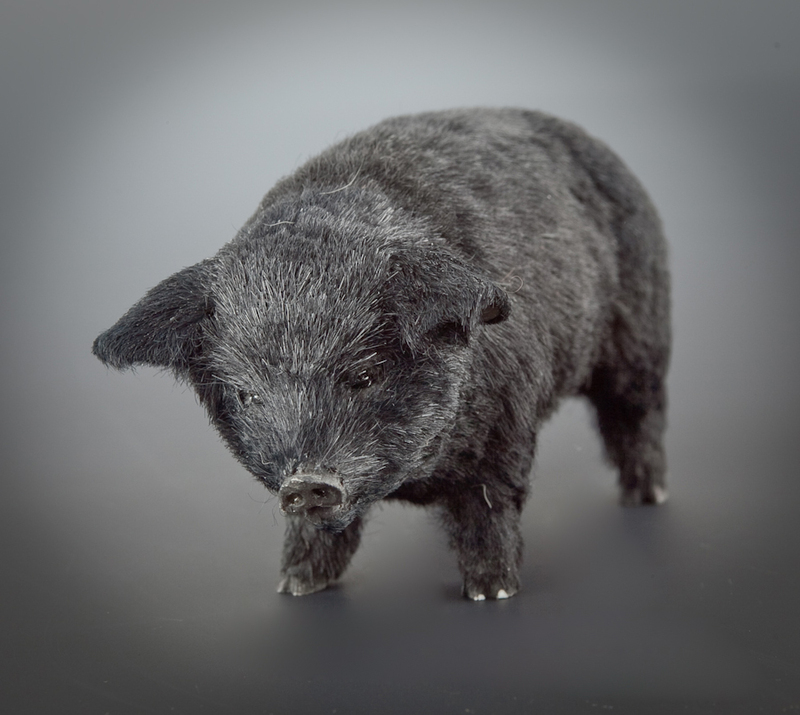 Pig, Black figurine is meticulously crafted in stone resin and hand painted by talented artists. The fur we use is a by-product of the food processing industry, shaved from cows or rabbits. Instead of being burned or buried, it's been recycled to give this figurine an unparalleled realism! Average size of these animal figurines are 5" to 7". Praire Dog figurine is meticulously crafted in stone resin and hand painted by talented artists. The fur we use is a by-product of the food processing industry, shaved from cows or rabbits. Instead of being burned or buried, it's been recycled to give this figurine an unparalleled realism! Average size of these animal figurines are 5" to 7". Shipping & Handling: $5 within the contiguous United States. If shipping to Alaska, Hawaii, Puerto Rico, or Canada $10 additional. For additional quantity, shipping is $3 each.